Over this last season Andaman Discoveries has had amazing volunteers! There were a total of 57 volunteers throughout the six volunteer programs that we support. 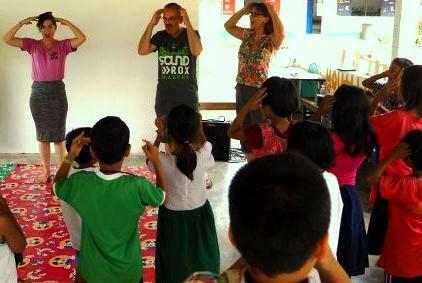 The majority of the volunteer projects focus on teaching English in a fun and interactive way. 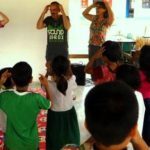 There is a direct need for volunteers at local schools and learning centers because the schools do not have a budget to hire a Western English teacher to build the capacity of the students and also Thai English teacher. 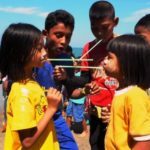 Thai students are shy and unlikely to engage in conversational English, but when volunteers come and make learning fun…the students open up and begin to speak and engage in conversation. We have also seen significant improvement in the Thai English teachers’ capacity and confidence, which makes it even more sustainable when they teach in the classroom. For each volunteer, a donation is given directly back to the schools or centers. We thank all the volunteers for their hard work and contribution, the Andaman Discoveries staff, school students and teachers will always remember the joy and creativity that you brought over the last year. Taking care of an egg for one week to teach the students at the Burmese Learning Center responsibility and caring for your belong. The kid even colored clothes on their eggs and named them. At the end of the week, none of the eggs were broken!!! 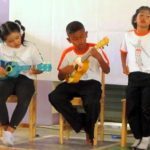 An after school music program was developed at the Rural Thai school and our volunteers generously donated musical instruments and patiently taught the students how to play ukuleles! 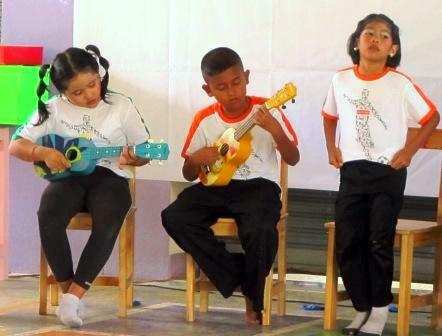 At the closing ceremony, they volunteers put together a concert performance for the parents and teachers. Volunteers at the Kuraburi Junior School made an entire English curriculum book for the school and Andaman Discoveries. 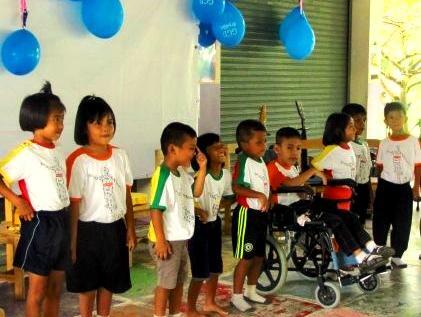 They put together weekly videos of their volunteer experience and made it into a movie for the school, which they showed at the closing ceremony. 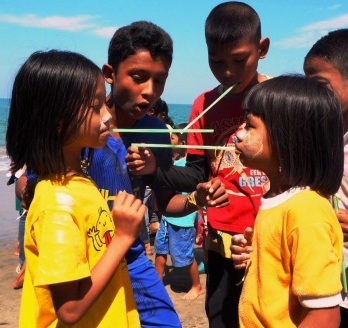 Volunteers at all the schools participated in cultural experiences; one very special one is called Loy Krathong. The volunteers decorated small floats with flowers at the school and then released them in the river in the evening, after watching their students perform a dance for the whole town of Kuraburi in celebration of this Thai holiday.